(London, September 17, 2011) – The Ethiopian government should end its widening crackdown against opposition politicians and dissidents, Human Rights Watch said today. In the past week, three well-known critics of the government – actor Debebe Eshetu, journalist Eskinder Nega, and opposition party leader Andualem Aragie – were arrested in Addis Ababa. Three other opposition party members were also detained. Here we go again, on another eye boggling denials by the shameless minority Ethiopian regime after embarrassed by a series of revelation from a secret US Embassy cables released by the whistle blower website Wikileaks. Yesterday, they issued a frantic ‘press statement’ with the usual denials and full of armature diplomatic languages concerning ‘two issues‘ raised on the Ethiopia Wikileaks files. The first issue that hits the nerve of the Addis Ababa junta was the release of the file that exposes the pattern and behavior of the Ethiopian security forces on how they plant bombs in the city then later blame on the opposition and neighboring Eritrea. Because this latest revelation is to their complete disadvantage specially at a time when they were seeking, in a frenzied campaign together with Susan Rice, for more severe economic sanctions on Eritrea under the pretext that Eritrea planned a terror bomb attack during an African Union summit last January in Addis Ababa. 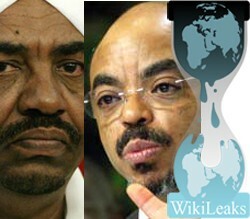 Wikileaks Ethiopia Files; Ethiopia Bombs Itself, blames Eritrea, Oromos 2006, 2011? (September 15, Sri Lanka Guardian) Recently released Wikileaks Ethiopia files expose how Ethiopian security forces planted 3 bombs that went off in the Ethiopian capital Addis Ababa on September 16, 2006 and then blamed Eritrea and the Oromo resistance for the blasts in a case that raises serious questions about the claims made about the bombing attempt against the African Union summit earlier this year in Addis Ababa, Ethiopia. ADDIS ABABA, Sept 13 (Reuters) – Ethiopia’s year-on-year inflation jumped to 40.6 percent in August from 39.2 percent a month before as food prices rose, especially for cereals, the statistics office said on Tuesday. Food prices account for 57 percent of the consumer price index. “The total price index of cereals in August 2011 has increased by 52.3 percent as compared to the similar month last year which significantly contributed to the rise in the indices of food and the general consumer price index,” the statistics office said in a statement. “Relative rises were observed in the indices of most of the components of food.” Inflation has become a major problem across the east and horn of Africa this year, as poor rains have hurt farming while global oil prices have surged. The International Monetary Fund, which expects Ethiopia’s economy to grow 7.5 percent this year, says inflation is the country’s main macroeconomic challenge. MAPUTO, MOZAMBIQUE (GNA) – The Local Organising Committee (LOC) of the 10th All Africa Games has announced that 15 Ethiopian athletes are missing from the Games Village, 11 days into the competition in Maputo, Mozambique. Penalva Cesar, Deputy Director of the LOC and a Spokesperson in an address at a press conference on Wednesday in Maputo, said they have received a confirmation from the Chef Mission of the Ethiopian delegation about the missing Ethiopians. According to Cesar, the LOC has reported the incident to security officials who are conducting investigations in a bid to fish them out. “We have alerted the Immigration officials and Police on our bothers and they are doing their best to fish them out. “I know they will be arrested because we are bent on having a trouble free event and all the law enforcement agencies are on the alert to fish out anybody who engages in illegalities,” Cesar noted. He said any athlete who attempts to foment trouble or stay in Mozambique illegally will be dealt with according to the laws of the country. Cezar, however, expressed satisfaction with the general organization of the event. “Though there were minor problems in some areas, I believe we have organized a very successful All Africa Games. “We look forward to a memorable closing ceremony on Sunday since we have put in place the necessary preparations for the closing ceremony.” He stated. The incident of missing athletes has over the years been a characteristic of multi-sports events and the 10th All Africa Games seem not to be an exception as some athletes use such occasions to seek asylum or for greener pastures. government opponents detained in recent days under a new anti-terrorism law. independent internet journalist Eskinder Nega. Shocking Truth About Gaddafi -- what you don't know. Editors note: We expose, anyone who posses him/her self as a journalist with an agenda, without supporting any particular country in the horn and the wider African continent. We analyze facts on the ground. We Africans know Africa more than the Martin Plaut's of the world. This is a case in point. Martin Plaut is not a journalist but an activist tied to some agenda. He has been at it with no respect for African people at large. The Eritrean embassy in London has issued a press statement protesting Martin Plaut’s latest blackmailing report on the BBC World Service programme that said “up to two in three Eritreans going hungry.” His accusations, however, have no substance except that it is designed to maintain the failed effort of creating a hunger stricken image of Eritrea. The following is the full content of the official Press Statement. "September 3, 2011 - The International Monetary Fund (IMF) had recently written a report with serious concern about the macroeconomic environment in Ethiopia, according to the Ethiopian Reporter. According to the report, unlike the previous reports, this one did not see the light of day. The strongly-worded report, which voiced serious concern over the macroeconomic environment in Ethiopia due mainly to the wrenching inflation, is not going to appear on the fund’s website, media outlets or be made public in any form. 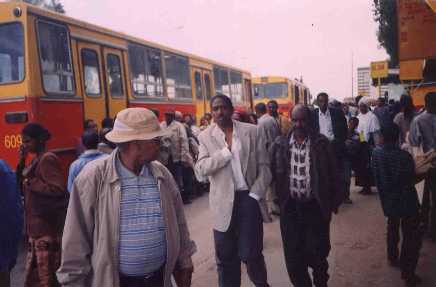 It has been blocked as result of a serious protest from Ethiopia, said sources. Ethiopia’s regime charged two Swedish journalists with terrorism after detaining them in July with rebels in the Ogaden region, State Minister of Communications Shimeles Kemal said. "A series of explosions were reported in Addis Ababa on September 16, killing three individuals. The GoE announced that the bombs went off while being assembled, and that the three dead were terrorists from the outlawed Oromo Liberation Front (OLF) with links to the Oromo National Congress (ONC). An embassy source, as well as clandestine reporting, suggests that the bombing may have in fact been the work of GoE security forces." Editor's comment: The above statement has always been true for those who follow up the Ethiopian regime and the people of the horn know the moves of TPLF very well (Current Ethiopian regime). July 1 arrest near Ethiopia’s border with Somalia.